Use logic to figure out this quote from the SMCrystal anime! What is this? 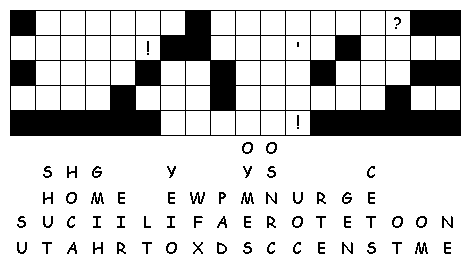 A fallen phrase puzzle shows the spaces for a statement or phrase. The letters are directly below the column in which they will fit, but jumbled within the column. Look at the puzzle below and use the letters and a bit of logic to figure out the quote! Enter the quote with no punctuation, spaces, or capital letters.